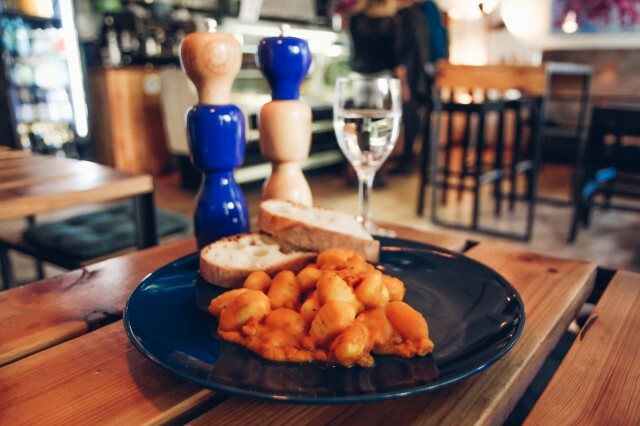 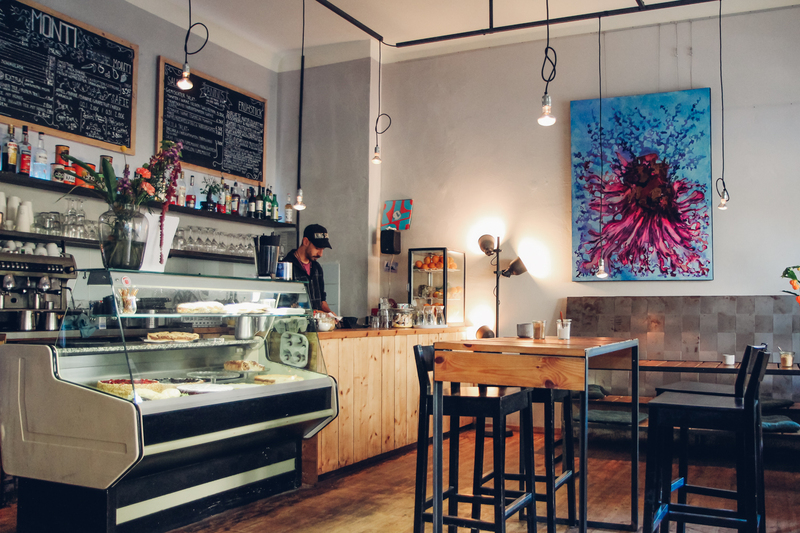 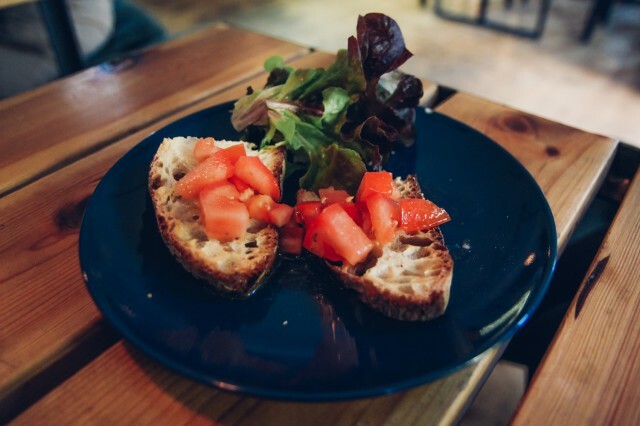 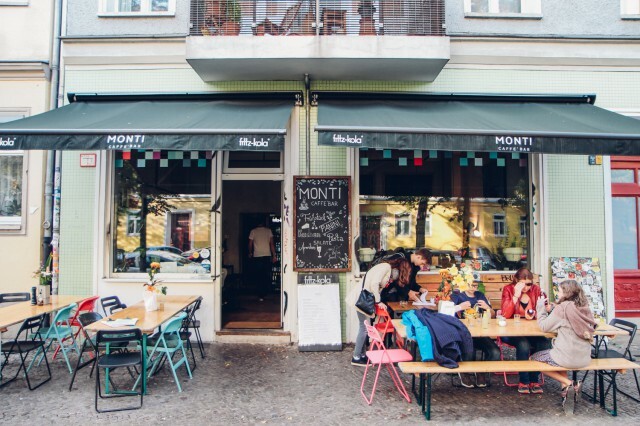 This year we decided to have a special look at a cute little restaurant and breakfast place in Friedrichshain. 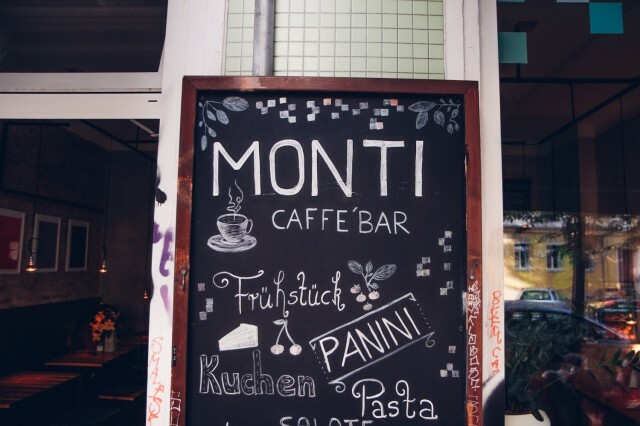 Monti Caffe’ Bar offers a selection of Italian pasta dishes and international cakes and breakfast options. 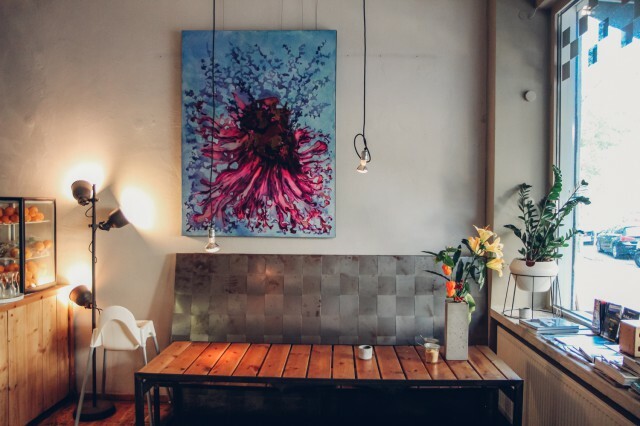 It’s definitely not the typical kitschy Italian restaurant with odd interior choices you might know from your holiday. 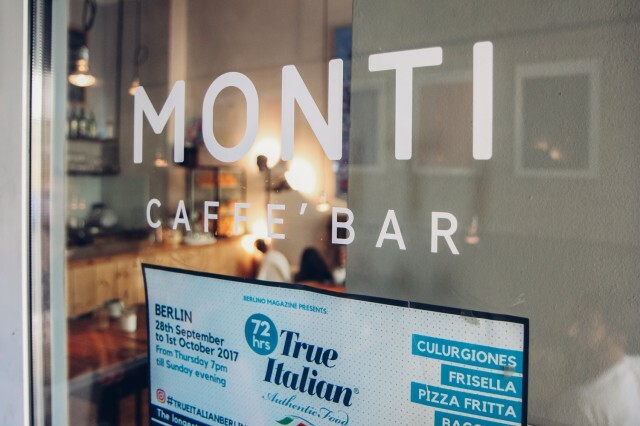 Instead, Monti is more like a cool urban spot with clear influences of playful Italian design mixed with Berlin elements like concrete and steel details. 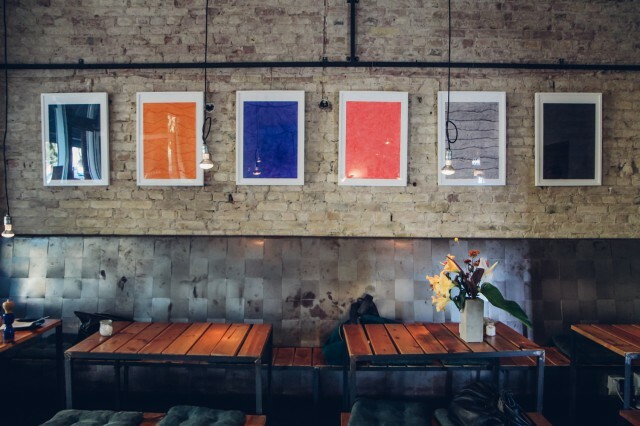 Check out the address, opening times and some pictures after the jump.